Displays a list of publicly traded Closed End Funds (CEFs), with information about Yield, Symbol Price Performance, NAV Premium/Discount, and Classification details. CEFs are a type of investment company whose structure is based on issuing a fixed number of shares (typically at their IPO) which are not redeemable from the fund. CEFs pass through most of their capital gains and investment income in the form of regular cash Dividends. Unlike Open Ended funds, new shares in a CEF are not created by managers to meet demand from investors, rather the shares can only be purchased and sold in the open market. Capital does not flow into or out of the funds when shareholders buy or sell shares. CEFs are generally listed on recognized stock exchanges, where the price per share is determined by the market, and is usually different from the underlying net asset value or NAV per share of the investments held by the fund. The market price will typically be at either a discount or premium to NAV, based on such factors as issuance of additional debt, perceived investment manager performance, etc. NAV is equal to Fund Assets minus Fund Liabilities, divided by number of Shares Outstanding. Sort the table columns by clicking on column headings. 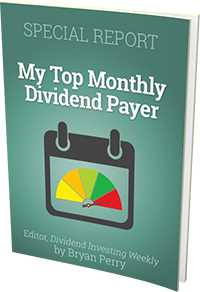 For example, columns which can sort highest/lowest include: dividend yield, 52-week average NAV premium/discount, price change etc. Use the Search box to filter the table by keyword. Search is particularly useful when looking for a specific CEF by Category or Sub Category. For example, type Fixed Income in the Search box for a list of all CEFs specializing in Fixed Income securities. Type Country in the search box and the table will display CEFs that have a category of Country, and the Sub-Category will identify a specific country of focus. Or, type a specific country (such as China) to narrow the search more quickly. Click on the icons in the Symbols column to view more information on the specific stock.